Combats Hair Loss “â¢Loaded with Antioxidants “â¢Makes hair fuller & thicker Johnny B. Grow Shampoo contains plant based extracts that deeply cleanse the scalp. By removing impurities form the hair bulb, hair growth can continue unimpeded. Made from ingredients such as ginkgo biloba and grape seed extract. This shampoo is recommended for all men looking to keep hair optimally healthy and strong. Johnny B. ALL OVER Shampoo is the most luxurious shampoo a man can use. Suitable for all hair types, its woodsy scent invigorates body and mind! Developed with an organic deodorant to absorb bad odors throughout the day, itâs sure to keep you fresh all over. 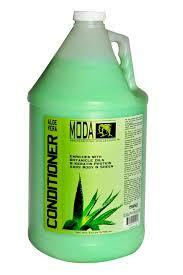 Moisturizing conditioner fortifies permed, color treated, relaxed or dry hair. 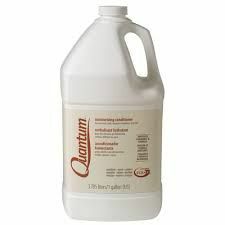 “““Silk protein helps restore hairâs natural radiance and softness“Oil-free and pH-balanced to moisturize without weighing hair down “—-PLEASE NOTE—-Gallon Sizes are limited 2 gallons maximum per order on Shampoo & Conditioner in shipment,“ whether its 2 gallons of the same item or gallons of mixed products throughout the order.“If you exceed the maximum of 2 gallons of the same item or mixed products per order,“then the order will ship based upon weight of shipment and will have additional shipping charges “that will not show up on your internet order but will be additional to your order and appear on your invoice recieved from us.“This will overide our free shipping policy over 99.00 and up. 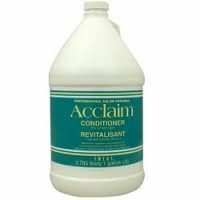 Acclaim Conditioner is the perfect daily conditioner for all“hair types and textures. Panthenol enriched formula“moisturizes, rehydrates and conditions hair, while improving“manageability and shine. This unique formulation provides“excellent detangling benefits for easy combing and restores“hair’s natural moisture balance.“Silk-protein helps to strengthen and repair hair. Vitamins C“and E provide antioxidant protection, while the PABA-free“sunscreen offers protection from the sun’s damaging rays and“environmental pollutants.“Leaves hair beautifully healthy, with manageability and shine.“—-PLEASE NOTE—-Gallon Sizes are limited 2 gallons maximum per order on Shampoo & Conditioner in shipment,“ whether its 2 gallons of the same item or gallons of mixed products throughout the order.“If you exceed the maximum of 2 gallons of the same item or mixed products per order,“then the order will ship based upon weight of shipment and will have additional shipping charges “that will not show up on your internet order but will be additional to your order and appear on your invoice recieved from us.“This will overide our free shipping policy over 99.00 and up. —-PLEASE NOTE—-Gallon Sizes are limited 2 gallons maximum per order on Shampoo & Conditioner in shipment,“ whether its 2 gallons of the same item or gallons of mixed products throughout the order.“If you exceed the maximum of 2 gallons of the same item or mixed products per order,“then the order will ship based upon weight of shipment and will have additional shipping charges “that will not show up on your internet order but will be additional to your order and appear on your invoice recieved from us.“This will overide our free shipping policy over 99.00 and up. 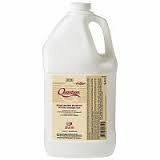 This moisturizing shampoo for permed, color-treated, relaxed or dry hair is gentle enough to use every day without relaxing curls or stripping color. “““Silk protein helps restore hair’s natural radiance, softness and strength“Oil-free and pH-balanced to moisturize without weighing hair down “—-PLEASE NOTE—-Gallon Sizes are limited 2 gallons maximum per order on Shampoo & Conditioner in shipment,“ whether its 2 gallons of the same item or gallons of mixed products throughout the order.“If you exceed the maximum of 2 gallons of the same item or mixed products per order,“then the order will ship based upon weight of shipment and will have additional shipping charges “that will not show up on your internet order but will be additional to your order and appear on your invoice recieved from us.“This will overide our free shipping policy over 99.00 and up. For deep cleansing to remove build up.Ensures maximum performance when used prior to chemical services “Dual chelating system washes away minerals, chlorine and hard water deposits to revitalize dull hair “Ideal for periodic deep cleansing on all hair types, the triple surfactant system removes styling product buildup without stripping permanent color or relaxing permanent waves “Contains Vitamin E to help restore shine and prevent discoloration “—-PLEASE NOTE—-Gallon Sizes are limited 2 gallons maximum per order on Shampoo & Conditioner in shipment,“ whether its 2 gallons of the same item or gallons of mixed products throughout the order.“If you exceed the maximum of 2 gallons of the same item or mixed products per order,“then the order will ship based upon weight of shipment and will have additional shipping charges “that will not show up on your internet order but will be additional to your order and appear on your invoice recieved from us.“This will overide our free shipping policy over 99.00 and up.